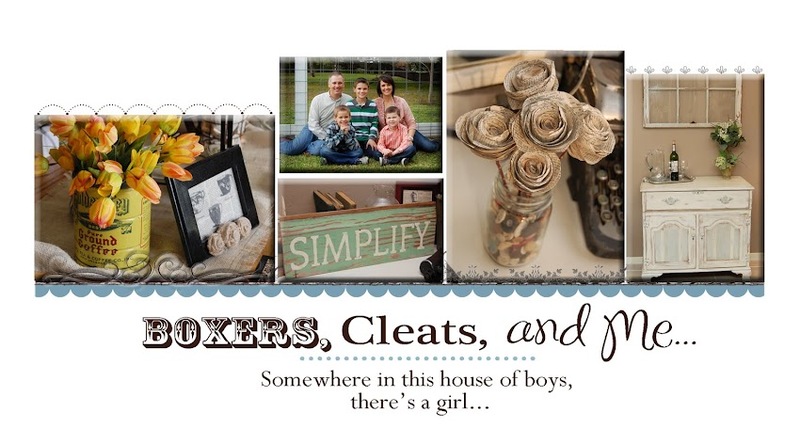 Boxers, Cleats, and Me: Time for Soccer! I wanted to share with you an awesome new toy from Playmobil. It's called the Playmobil Take Along Soccer Match. 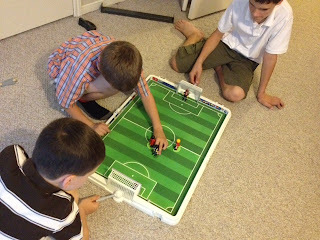 The boys really enjoyed playing with it, and Playmobil is giving one away to one of my blog readers!!! The boys started the fall season of soccer and this is perfect for their taste. It's cool because it folds up neatly to a travel case. Comment below and tell me if your kiddo, grandkid, or friend plays soccer. Enter before Friday at noon. 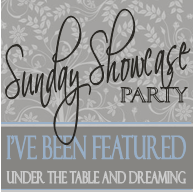 I will draw a winner randomly! Have a great week! Awesome! I know a boy and his Dad who would love to have one of these! JHP played soccer for the first time last spring. And he loved it! Ry played soccer longer than C...she really liked it and tried so hard at it. She didn't stay with it and is now playing volleyball! If I win, I'm sure my kids and their friends would love playing with this! Neo played several years ago...maybe charlie wi ll too. 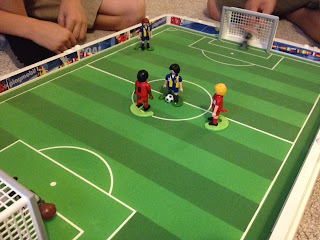 G loves to play soccer (and also loves playmobil)! What a fun giveaway! Congratulations to comment #7. 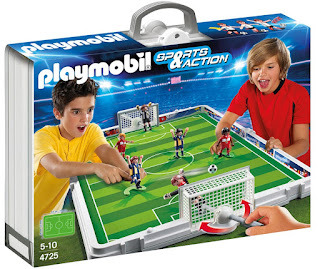 (Nat and Shannon) You have won the Playmobil Take Along Soccer. Please email me your address info.